Twins Sleeping Together: Is It Safe? Should Twins Sleep Together at Home? 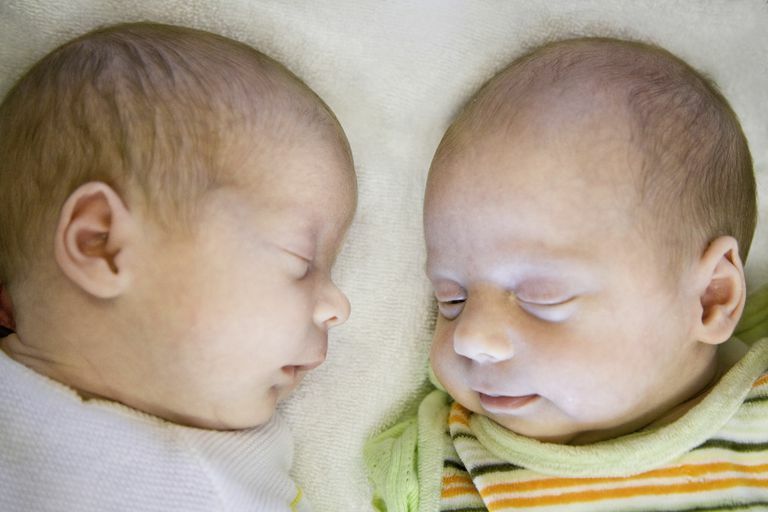 Studies show several possible benefits to letting twins sleep together in the NICU. Multiples who are co-bedded seem to sleep better, gain weight better, have fewer episodes of apnea and bradycardia, and (as long as they’re about the same size), keep each other warm. No studies have looked at co-bedding twins at home, but it's likely that these benefits continue after hospital discharge. American Academy of Pediatrics Task Force on Sudden Infant Death Syndrome. "Policy Statement: The Changing Concept of Sudden Infant Death Syndrome: Diagnostic Coding Shifts, Controversies Regarding the Sleeping Environment, and New Variables to Consider in Reducing Risk." November 2005. Tomashek, K., Wallman, C. and the Committee on Fetus and Newborn, American Academy of Pediatrics. "Cobedding Twins and Higher Order Multiples in a Hospital Setting." Pediatrics Nov. 30, 2007; 120, 1359-1366. Is Swaddling Twins the Secret to Successful Sleep? Wombmates to Roomates: Should Multiples Share a Room?